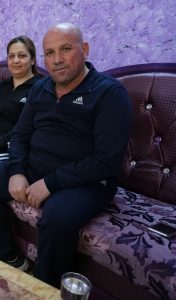 Thair is a 40-year-old man from the Christian town of Qaraqosh. Before displacement, he lived with his four children in a flat rented by the Church for people of low socio-economic status. He used to work as a guard in the church. Even if his life was modest, he was blessed by a supportive family. In August 2014, his family fled ISIS and moved to an IDPs camp in Erbil, where they stayed for 3 years. One of his sons decided to emigrate to Germany with the expensive help of a smuggler. Fortunately, in the end, he managed to reach the country. His plan was to support his family from abroad. However, soon after his departure, Thair started to have health problems and he was diagnosed with urinary bladder cancer. He underwent the urgent expensive surgery, during which his whole bladder was removed and a urostomy was made. This means that his urine is collected in urostomy bags attached to his abdominal wall. To prevent urinary infections, he needs to frequently change these bags. Even if they are not expensive, the high consumption of this medical equipment is a financial burden for the family. When Thair’s son found out about his disease, he decided to return back from Germany and stay close to his family. Another son found a job as a soldier and is now able to partially support his father. Thair is still receiving his salary as a church guard, but not regularly. With all medical expenses, the financial situation of the family was worsening. 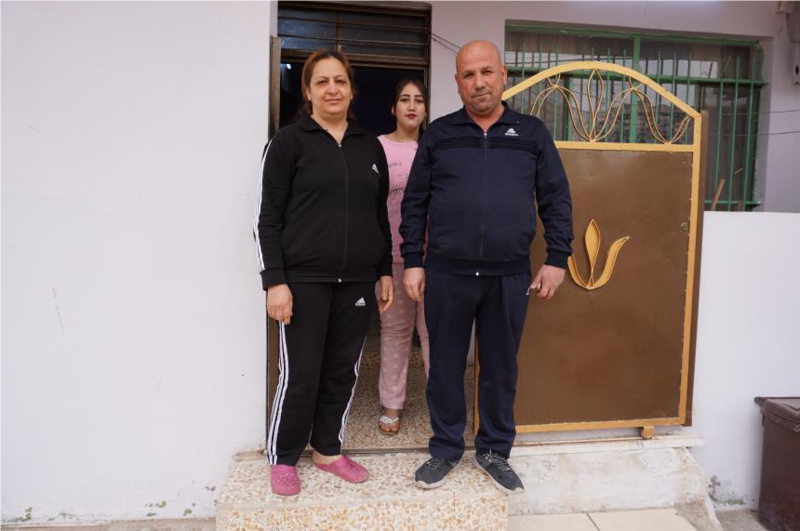 In November 2017, Thair and his family returned to their liberated hometown, Qaraqosh. They are still living in the church’s flat and they are preparing for the wedding of their daughter. Thanks to the French Association for the Aid of Youths with Disabilities and People with Handicaps (Association pour l’Aide aux Jeunes Infirmes et aux Personnes handicapées), we are able to help this family to cover Thair’s expenses for medical equipment. They symbolize a new hope for the Christians in the Middle East.